Please be sure to read all shipping information carefully; you will find that various gift types have different shipping concerns. FREE Standard Shipping applies to most gift basket orders shipped across Canada. Some exceptions may apply. Orders received by 12 Noon EST Mon-Fri will be shipped out the same day; except holidays. Orders received after 12 Noon EST will be processed and shipped the next business day. All packages shipped on Friday will be delivered on Monday if specified for 1 day express delivery. If you wish your order to arrive on a certain date, you much choose the 1,2 or 3 Days Express shipping accordingly. We do not guarantee timely arrival if you choose Standard Ground shipping method. The Desired Delivery Date does not guarantee timely arrival if you only select Standard Ground shipping method. 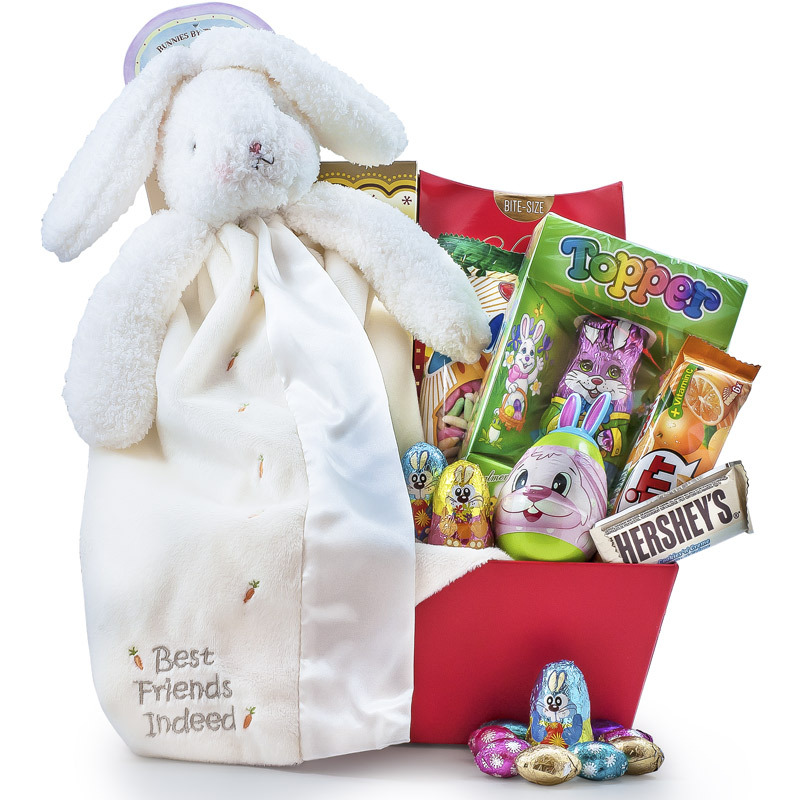 Gourmet Gift Basket Store will ship all orders based on the customers requirements however can not guarantee that the shipping company will deliver on a specified date since they are a third party service. 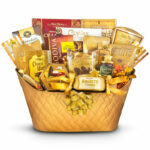 Gourmet Gift Basket Store will assist in all deliveries communicating with the shipping company. Gourmet Gift Basket Store is not responsible if the shipping company does not deliver a gift on time. The buyer is able to file a claim with the shipping company directly for any inconvenience this has caused. 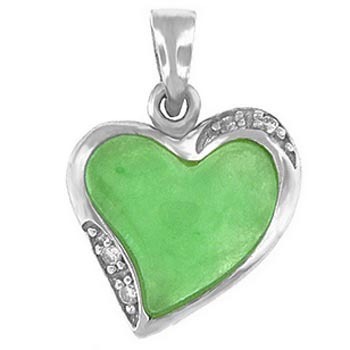 Buyer is always welcome to return the gift for a refund as a remedy less shipping cost. In 2019 Christmas (December 25, 26) falls on a Wednesday and Thursday and no deliveries will be made on those days. All orders placed on Friday, December 20, or the weekend, will be shipped out on Monday, December 23. For guaranteed delivery before Christmas please select 1 day express shipping. All orders placed on Monday, December 23 will be shipped out on Tuesday, December 24. These orders will arrive between the holidays. All orders placed on Tuesday, December 24 will be shipped out on Friday, December 27. All orders placed on Friday, December 27, or the weekend, will be shipped out on Monday, December 30. For guaranteed delivery before New Years Eve please select 1 day express shipping. In 2020 New Year’s Day (January 01) falls on a Wednesday and no deliveries will be made on that day. Your order will be shipped based on the shipping method you choose and pay for at the checkout. Open your selected gift’s product page and add your gift message BEFORE adding it to the cart. If you missed your chance writing your gift message and you are already on your Shopping Cart page, write your gift message in the Delivery Notes window. open your selected gift’s product page and add your gift message BEFORE adding it to the cart. if you are ordering multiple gifts please order them one at the time to be able to add separate gift messages. By choosing your Desired Delivery Date does NOT guarantee delivery on that date. Please be sure to upgrade your shipping methods if you have any delivery time constraints. Shipping methods are ranging from Standard Ground to Overnight Delivery. We will not be held responsible for delays due to weather conditions or if the Recipient is unavailable at the time of the delivery or if the address is incomplete/incorrect. For example at high rise buildings if Buzzer Number and/or Apt. Number is missing. Each item is shipped in its own individual box. Note that most of our products cannot be “bundled” for shipping. Once shipped, you will receive an email with the tracking number. On hand delivered items we cannot provide a tracking number. To verify the delivery of your gift, please contact customer service. We do ship to PO boxes, however it is the Sender’s responsibility to notify the Recipient of the package’s arrival. We will not take any responsibility if the Recipient abandons the package and for that reason the gift may get spoiled. Address correction is not possible once the gift has been shipped. Food Gift Baskets are shipped to Canada and to the United States only. We do not ship fruit baskets to the USA. Certain times a basket shown might be out of stock, we reserve the right to substitute the basket of similar size to hold the same products that was chosen. If a certain item as well is out of stock we will always substitute the product for a product of equal or higher value at our discretion with no additional charge. The physical street address of the recipient’s home or workplace is required; a post office box number is not acceptable. Fruit baskets may vary from their original on-line presentation and description due to location and availability. We reserve the right to substitute fruit of like appearance and value. All fruit baskets are shipped out Monday through Thursday. If standard ground shipping takes more than two days, please select express shipping options. Please check our Standard Shipping times for Canada on top of the page. Fruit baskets are not available for delivery on Saturdays, Sundays and Holidays. We do not ship fruit baskets to the United States. Any orders placed before the holidays may require 1-2 days for processing plus the shipping time. Shipping times vary based on destination. For rush orders you must select the appropriate shipping method according to your Desired Delivery Date. We will do our best to fulfill your order as fast as possible, please place your order in time to avoid unnecessary rush shipping charges. Shipping companies do not guarantee on-time delivery for orders placed between Dec 5-31. When you are sending a get well basket, it is highly recommended to be shipped to the recipient’s home instead of the hospital. Do to restrictions to certain areas of the hospital like for patients in critical care; floral arrangements, fruit baskets or balloons may not be permissible. Telephone the hospital before ordering to inquire about their policies. Please include recipient’s room number, and ensure before ordering that recipient is not scheduled for discharge within the window of delivery. We cannot take responsibility if the accepting facility does not forward the gift to the Recipient’s room or if it gets lost or gets spoiled because of delayed delivery. When sending a sympathy basket, it is highly recommended to be shipped to the recipient’s home instead of the Funeral home. If you send your gift to the Funeral Home please include the name of the deceased person along with the name of the Funeral Home to prevent any confusion in delivery. Due to security restrictions airports deliveries are not allowed. GIFTS can be shipped worldwide. 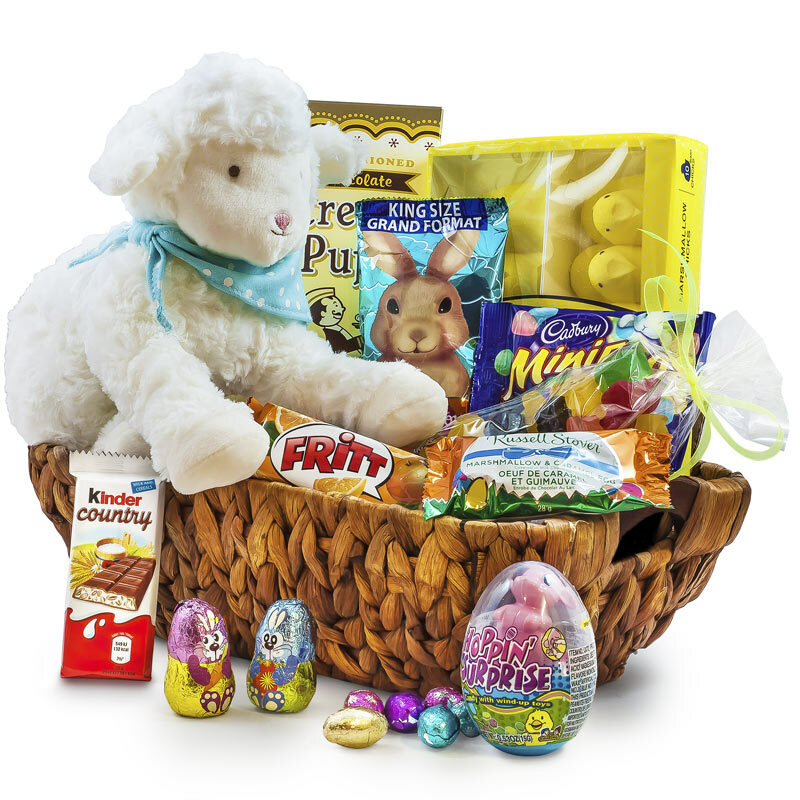 We can ship gift baskets worldwide that does not contain any type of food items. 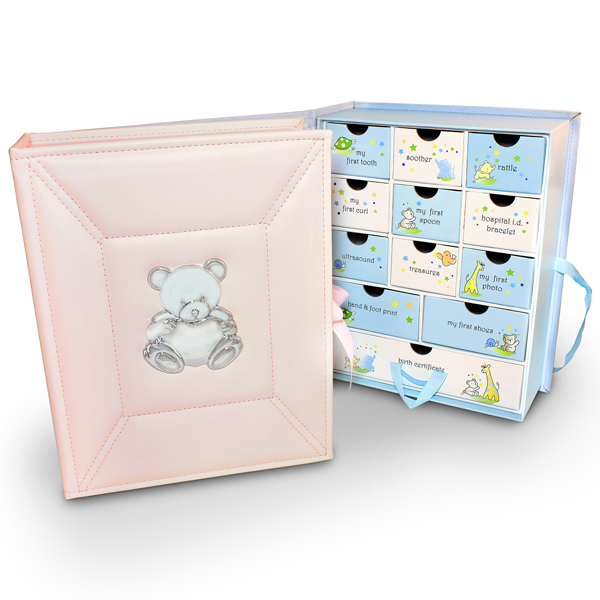 Example baby and bath care gift baskets. If a gift basket contains one or two food items we can switch them to non-food items of equal value at your request. Once your package leaves Canada you are responsible for any customs, duties and related charges. Please contact your country’s customs office to find out about these charges so you will not be surprised when you receive your package. If you refuse to pay for your customs, duties and related charges and return your package to us, we cannot refund you for the product and shipping cost. The physical street address of the recipient’s home or workplace is required; a post office box number is not acceptable. Most Flower Bouquet are available for same day delivery Monday through Friday if ordered before 12:00 PM in the recipient’s time zone. Flower Bouquet are not available for delivery on Saturdays, Sundays and holidays. The service charge for delivery per item for Flower Bouquet is $18.95. There is no extra charge for same day flower delivery. When you are ordering for example a Gift Basket and a Flower Bouquet, you will see the combined charge for the 2 item. Just deduct the $18.95 from the shipping charge you see and you will know how much is the shipping charge for the gift basket. There is no same day delivery available on the Gift Baskets. Q: Can a Gift Basket and a Flower Bouquet be delivered together? A: The Flower Bouquet will be hand delivered the gift basket will be shipped, therefore they cannot be delivered together. Same applies for Cakes, and Gift Baskets, or Cakes and Flower orders. When ordering Cakes and Flower Bouquet, please be sure to provide the recipient’s phone number, so we can ensure they will be home at the time of the delivery. Inspect all cakes upon arrival. Keep cakes refrigerated between 10C and 12C. Store frozen cakes in your freezer until you are ready to use them. To maintain freshness when pieces are individually served, cover the slice of cake with plastic wrap. Fresh fruit, whipping cream and meringue based cakes will maintain their freshness for 2-3 days. All other cakes should be consumed within 4-5 days. For best results, always use a sharp, serrated knife. Heat the blade under running hot water and wipe excess water off before making each slice. Place slice on a plate, cut-side up. Always clean and reheat knife after every slice. For professional looking portions, use a 10 to 12 inch serrated slicer when cutting cakes. Allow the frozen slices to stand at room temperature for at least 1 hour before serving. For cheesecakes here is the best-kept secret of the trade. Would you believe it is dental floss! It is just about impossible to cut a cheesecake cleanly with a knife (too much of the precious filling sticks to the blade). Take a long strand of dental floss, stretch it taut, and gently press it through the cake. Do not try to pull the floss back up through the cut you have made, simply pull it out when you reach the bottom. Either waxed or un-waxed floss may be used, but you may want to use a knife to cut through the harder crusts. Wrap the exposed cake in plastic wrap to prevent dryness and refrigerator odors from being absorbed when the cake is stored. Some cakes may be difficult to wrap without marring the surface. We recommend placing these in a covered cake tray, or a pan and covered with plastic wrap or foil. Store freezer friendly cakes in your freezer until ready to use. Please note that we do not recommend freezing fresh fruit, whipping cream or meringue based cakes. A delivery fee is added upon checkout to your cake order. The service charge for delivery per item for a Cake is $18.95. 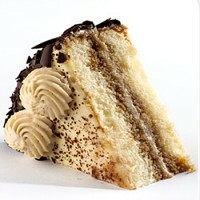 We are proudly offering a growing variety of gourmet cakes and cheesecakes for you to select from. We are showing high quality pictures of the beautiful cakes, offer simple and fast online ordering, and a great variety of cake flavors to select from. With our hand delivery service we stride making your gift giving an easy and joyful experience. Please note: the cake design may be slightly different from the picture show. If you are ordering from a business and wish to send multiple cakes or larger order to business associates please call our office for assistance. All merchandise shipped from Gourmet Gift Basket Store is pre checked at our warehouse and is shipped intact. Please note that the carrier has assumed responsibility for delivering your shipment to you safely. ALL shipments are insured against damages. For your protection, we recommend inspecting merchandise upon arrival and/or sign the shipping record “subject to inspection”. If you receive obviously damaged cartons or there are missing cartons, please ensure that the driver makes note of these discrepancies. It is important that you keep all damaged shipping cartons and damaged contents. Contact the carrier immediately to file a claim and request an inspection. Concealed damages discovered after the fact, should be reported to our claims department immediately. A decision will be made at this time as to how the claim will be addressed. Claims for defective merchandise due to manufacturing defects must be made to our claims department within 5 days of receipt. All claims and/or returns received without our prior authorization will be refused. Authorized returns must be properly packaged for shipping and receiving in good condition. All products must be returned in original packaging and unopened. If for any reason you are dissatisfied with a purchase, we’ll only accept authorized returns and credit back only the cost of item(s). Shipping and handling charges are not refundable. If you have an exchange you need an authorization from us to send back your purchased item and ship it back to us at your own cost. We will send you the exchanged item as soon as we receive the exchangeable item in its original packaging in perfect condition. Shipping cost of exchanged item is paid by the Purchaser. Re-stocking fee is 25$ for any other returns. Merchandise must be returned in it’s original packaging and in prefect condition within 10 days of receipt. THERE IS ABSOLUTELY NO RETURN OR REFUND ON CAKE ORDERS. Once the cake order has been made the order is forwarded to the bakery for processing. No claims and/or returns will be accepted under any circumstances after 5 days. All products must be returned in the condition you received them. That is, all products must be returned in a new or unused condition with all original materials, and in their original packaging (original materials, and packaging also must be in new condition). If your order arrives damaged, please do not refuse delivery. Accept the package and contact our customer loyalty team within 48 hours of delivery (see below for contact options). A photo of the damaged packaging/product may be requested. Bundled products must be returned together, in full, for a refund. Individual items purchased as part of a bundle cannot be returned. If you receive an item that is damaged or defective in a bundle, please contact our customer loyalty team as soon as possible to arrange for resolution. Our policies are subject to change in the event that we find a way to serve you better.